Kaleana Markley, Wellbeing Director @ Sequoia Consulting Group. I help innovative tech companies from the Bay Area to New York create & design meaningful wellbeing programs. What a very sad and scary world we live in right now. Every morning that I’ve turned to the news lately, I’m constantly reminded of how tragedy can strike anyone, at any time. As someone who deals with helping clients strategize employee wellbeing programs, something that has always been top of mind for me is the question – “How do you show your employees you truly care about them?”. About not just their physical health, but their state of mind – their stress, their anxiety, their sadness. The average American (75% of Americans to be exact) is stressed – struggling with all, and many more, of these emotions right now. Publicity of new diseases and physical health issues, financial state of retirement funds given worldwide events, and of course, the toll that a lack of safety and security in any public setting has now given all of us. How, as an employer, HR or people ops, do you handle this? Are issues related to mental health even your responsibility? A while back I wrote an article on Emphatic Wellness, explaining the meaning behind this and urging employers to put themselves in the employees’ shoes when developing a wellbeing strategy or solution to an employee issue. This theory derived long before my time in my current role, in a personal instance that occurred while working in HR for a mid-size business. At the time, I was focusing on improving morale and employee engagement. As part of this, I was told that we had a protocol around both positive (babies, marriage) and negative (death, serious illness) events. It was quite simple: you send flowers, and write out a thoughtful card. 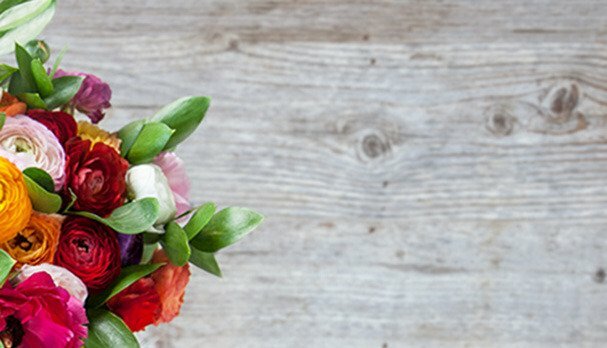 Now, flowers are not cheap – but they often are the most common (and usually the least controversial) way to congratulate or send condolences to those you care about. I loved sending the positives, but my heart ached to send the negatives. About a year into working at that job, I had my own “employee life event”. My grandpa passed away. I was young, it was unexpected, and my family lives on the opposite end of the West Coast. There’s nothing worse than being hundreds of miles away from those you care about when something like that happens. I remember going into work the next day, determined to keep my mind busy. My boss, VP of HR at the company, had received my email regarding the situation and walked into the room with a card – right on protocol. But, no flowers? She stood back as I opened the card, and there was a simple note: “Go Home”. Inside was a gift card, the exact value of that giant bouquet of flowers we would send employees, to Southwest Airlines. It was one of the most thoughtful, emphatic things I’ve ever had an employer do for me, because it was exactly what I needed, at a time when I really needed it. The giftcard didn’t pay for my whole flight – but what mattered more to me was that it represented the seniority approval to take a few days off (something I probably, like many workers, would have been too fearful to ask for during a busy time of year), and the money helped me do something that was so important to me – with just that much less financial stress associated with it. As an employee, that meant everything to me. Working in the small to mid-size company tech space, with all it’s perks, bells, and whistles, I find that all too often employers lose sight of the significance that meaningful gestures like this can have on employees. But the topics of grief and emotional stress can be tricky, uncomfortable, and confusing in terms of how to respond to employees. Luckily, leaders are beginning to speak out more about this. I remember that Sheryl Sandberg wrote a great article about dealing with grief in her essay on Facebook, after the tragic death of her husband, talking about how deliver appropriate acknowledgements, ask for support, and help with the tough transition back into the workplace after an emotional time. “In lieu of flowers”, I think, is an important phrase (not necessarily always regarding the loss of someone, but in any emotional, high-impact life event an employee goes through), when thinking about what else your employees could benefit from when they struggle with something. It’s looking at the unique stressors and happenings in your employees’ lives, and thinking of what support or aid they may find helpful. It’s the emphatic approach. It’s finding a way to say, “we’ve got your back”, but pausing a moment first to stop yourself from assuming you know what that means. Considering what that specific employee, under those distinctive circumstances might be going through. It’s hard, but it begins with knowing your employees (and in HR, when you can’t know everyone, making sure your managers know their employees), asking questions, and doing your research on what is the best fit for your people, culture, and spend. And – again, as in my own example, these gestures don’t need to go beyond the budget already allocated. Sometimes things as small as the approval to take time away from the office, prior to the employee needing to ask, or pointing an employee toward the right resources, when they need it, is enough. Do you have any other strategies “we got your back” strategies that have worked well in this space? Kaleana Markley is the Wellbeing Director at Sequoia Consulting Group, responsible for helping with needs assessment, vendor selection, strategy and planning, and rollout support for wellbeing programs. This approach includes looking holistically at what constitutes as “wellbeing”, analyzing employee needs and gaps in care as it relates to employees’ physical, emotional, financial and social wellbeing. Kaleana has over 7 years in the employee programs space, working in recruiting & onboarding, benefits & human resources, and employee wellbeing functions. With BA degrees in Psychology and Communications, she also earned a MA degree in Organizational Psychology, focusing on workplace engagement and motivation. She was recognized as one of EBA’s 2017 Most Influential Women in Benefit Advising this year for her role in Sequoia’s innovative approach to holistic wellbeing with her clients, and has spoken on various panels and conferences including SXSW.